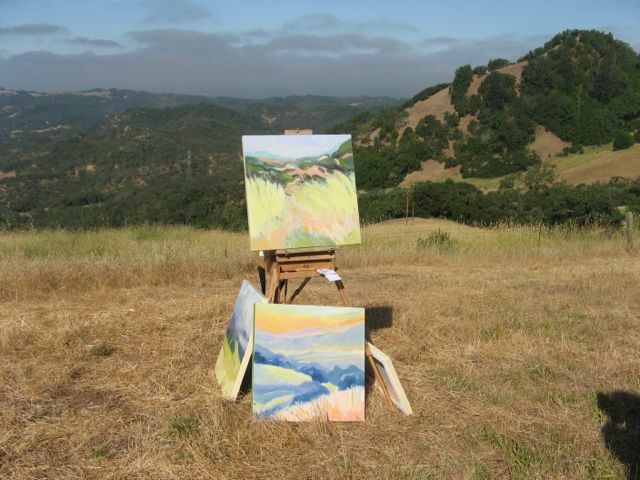 Enjoy an outing in a spectacular Sonoma County environment! 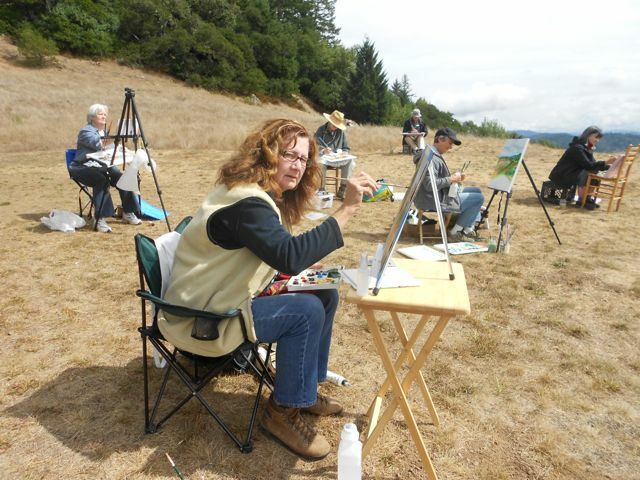 Explore the art of plein air painting with artist and Santa Rosa Junior College instructor Marsha Connell.Deepen your observational skills and express your visual responses to the verdant and blossoming spring landscape of Pepperwood Preserve.Beginning painters will learn basics of working in the field. 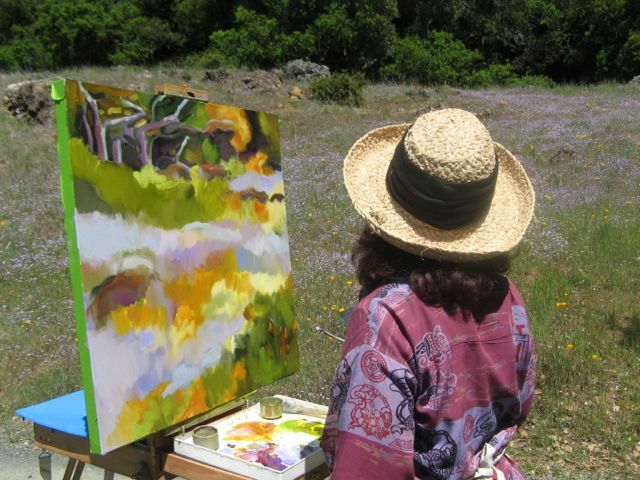 Experienced painters may expand their repertoire with elements of realism, impressionism, expressionism, and more, with support for finding their own voice. Demonstrations will be given in oil paint. Students may use any media. Oils, acrylics, or pastels recommended. Ages 14 and up are welcome. Meet at the Bechtel House. Class will be held rain or shine. There is a grand view and shelter available. A suggested supply list will be sent upon registration. The Pepperwood Foundation gave Marsha Connell an artist in residence grant to study the Preserve through the discipline of drawing and painting, and to share the process and the Preserve with the public.Pepperwood is a 3,120 acre nature preserve and an ecological institute dedicated to educating, engaging, and inspiring our community through habitat preservation, science-based conservation, leading-edge research, and interdisciplinary educational programs. As one of the largest scientific preserves in Northern California, Pepperwood provides a sanctuary for wildlife and affords a native habitat for its flora and fauna to thrive.We welcome visitors to Pepperwood! In support of our mission, we are careful to control visitor access so Pepperwood may be enjoyed for generations to come. Please keep in mind that individual access to Pepperwood Preserve is offered primarily via our educational programs and posted special events. We invite you to join our community of life long learners and citizen scientists united through our passion for nature!